A suspect being pursued by Contra Costa County Sheriff’s Office deputies was killed in a collision Thursday night. On Thursday at 11:41 p.m., deputies in Rodeo noticed two individuals exit their vehicle and discard an unknown item at the Rodeo Post Office at 499 Parker Ave. 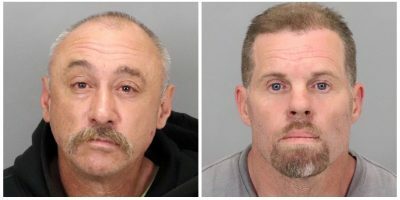 The deputies tried to pull the vehicle over, but the suspects refused to stop and drove south on San Pablo Avenue. As deputies pursued the vehicle, it went through a red light at San Pablo Avenue and Richmond Parkway and collided with the side of a truck. The driver of the vehicle was killed in the collision. The passenger was able to exit the vehicle and was taken into custody. The sheriff’s office has not released the identity of the two suspects. Deputies later discovered the item the suspects discarded was a firearm, according to the sheriff’s office. The Richmond Police Department, the California Highway Patrol, the Contra Costa County District Attorney’s Office and the Contra Costa County Sheriff’s Office are investigating the incident.